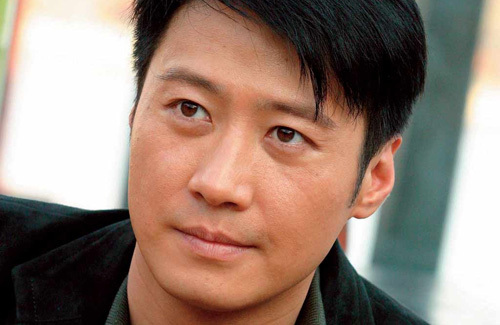 Despite his age and his divorcé status, Leon Lai (黎明) remains one of the most eligible bachelors and has no lack of admirers. He was spotted mingling with the young and beautiful at a recent music concert, where he happily obliged to all requests from overly enthusiastic female fans. Since his divorce from ex-wife Gaile Lok (樂基兒) in 2012, Leon has made little progress in his love life and kept much of his personal life quiet. Over the past year and a half, he focused mostly on his entertainment business and film projects and rarely generated any gossips. When asked earlier about his view on love and marriage, Leon said that he is leaving it up to fate, preferring to take life as it comes rather than stress about what he cannot predict. In February, reports linked him with a 23-year-old model who allegedly somewhat resembles Gaile. Leon had supposedly met his new love at a friend’s party last year, and has since been secretly meeting up with her at a private apartment in Hong Kong. Although Leon made no comment about this potential relationship, it seems that he is at least open to meeting women once again. On March 20, he attended a concert by American rapper Macklemore and DJ Ryan Lewis. Since Leon personally sponsored the event, he was invited to enjoy the concert at a special VIP area. After sipping champagne alone for awhile, he began socializing with friends nearby. Many female fans noticed his presence and quickly surrounded him. In high spirits, Leon spent time chatting with all of them and was very attentive. He also took photos with the women with his arms wrapped around their shoulders and waists, not at all worried about being in close contact. He continued to mingle until the end of the concert, when he quickly slipped out of the venue to avoid running into any reporters. Bet his new gf will milk him dry. Leon looks like a typical HK geek. The only type of women who want him are the ones without money or anything in life. Dude should just turn gay and move to san francisco and play choo choo train. He’s not a hong konger. Leon is from Beijing.